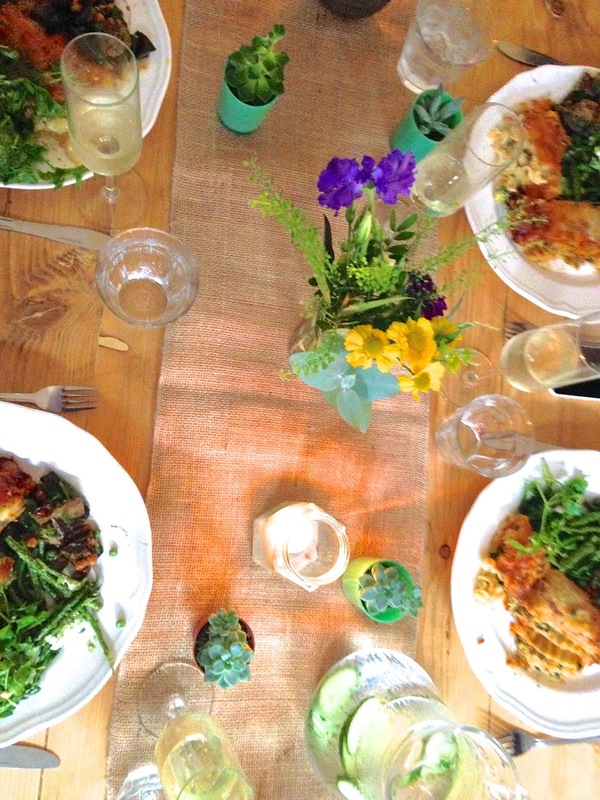 Flowers and food are two of my favourite things. 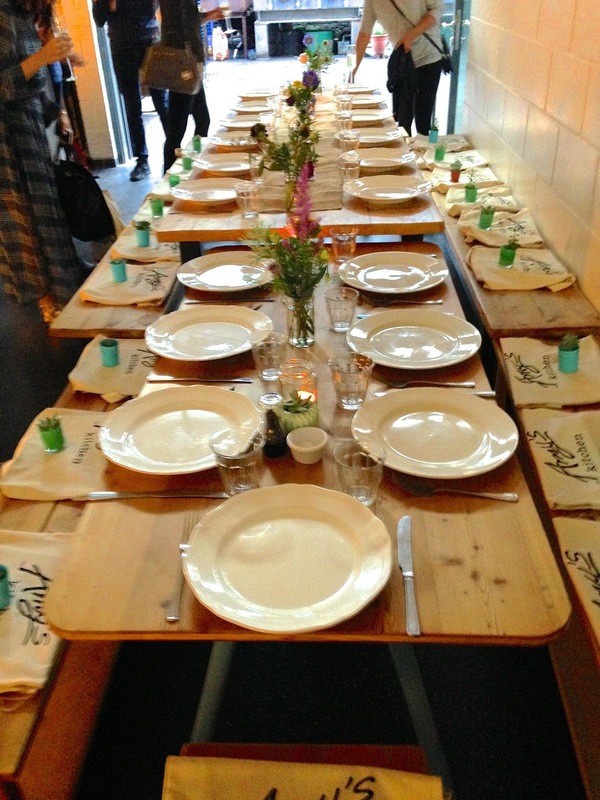 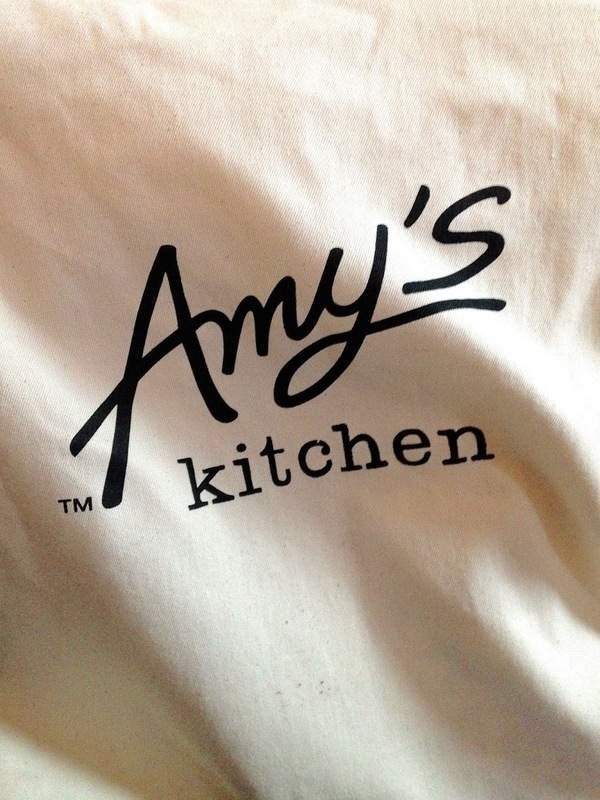 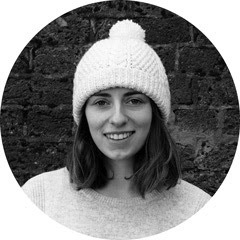 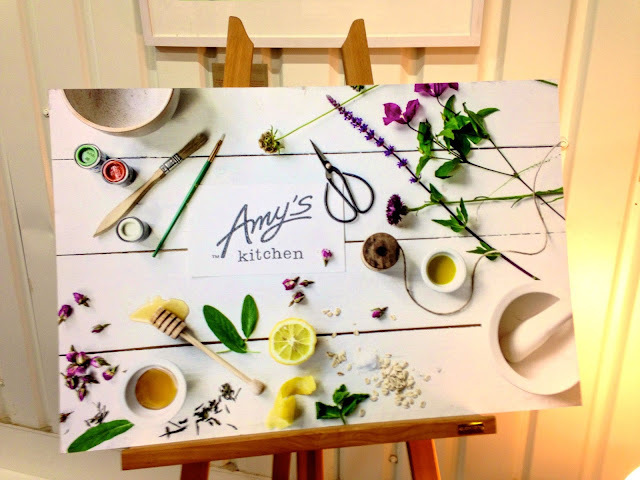 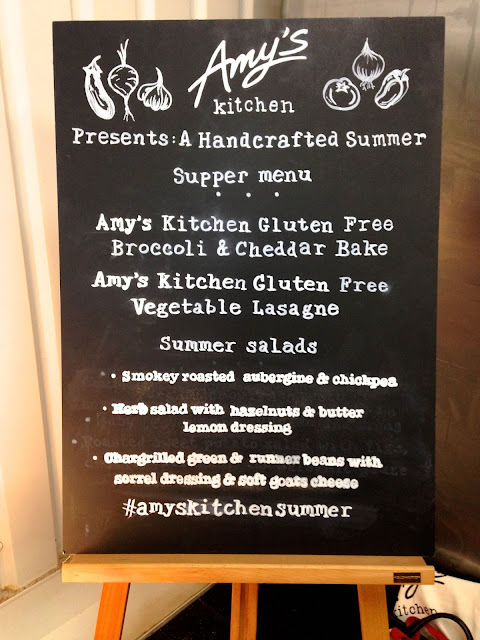 So when I saw that Amy's Kitchen were hosting a series of four events over the summer called 'Amy's Kitchen Summer' and I had already missed the first three I just knew I had to find a way to get to the last one! After a few desperate emails and, luckily for me, someone dropping out I headed over to the E5 Bakehouse in Hackney to eat and arrange. Everything was delicious and the portion sizes were very generous (I will be endeavouring to recreate everything we ate)! 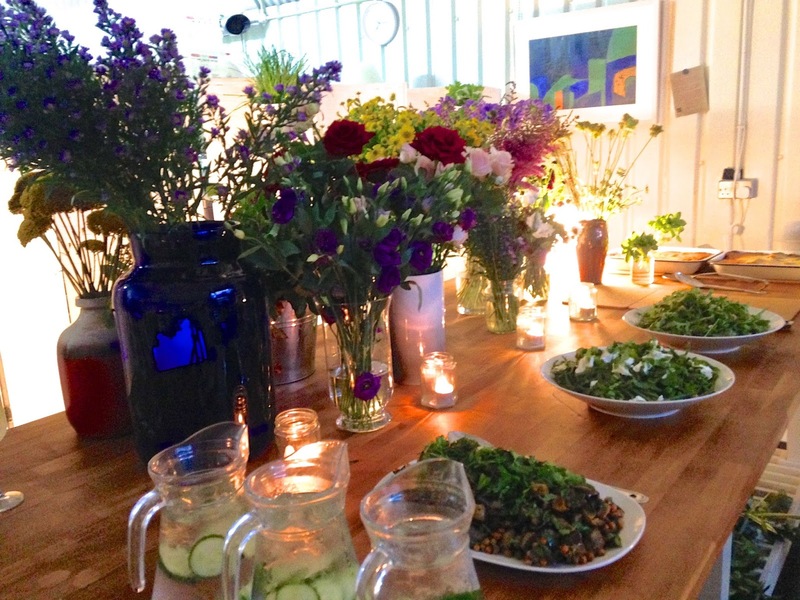 The table was so beautiful and bright with wild flowers and a succulent for us each to take home, it was like stepping into Pinterest! 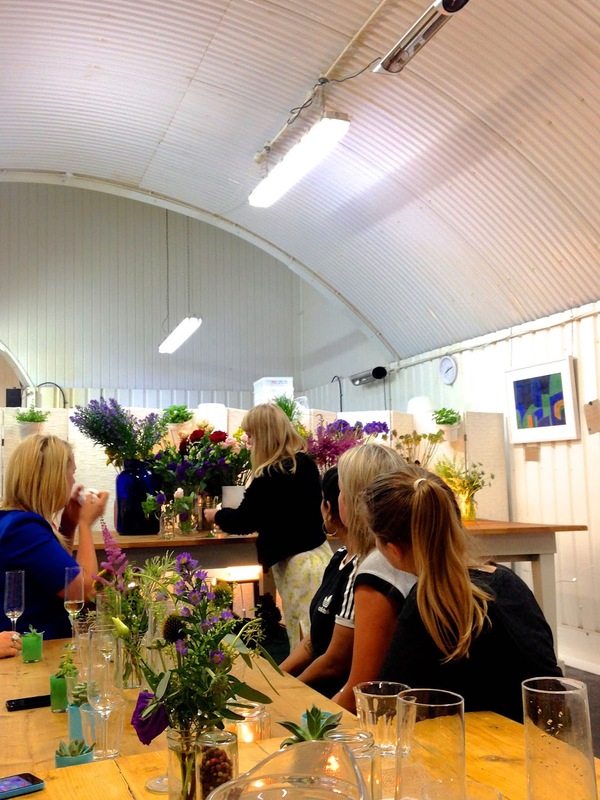 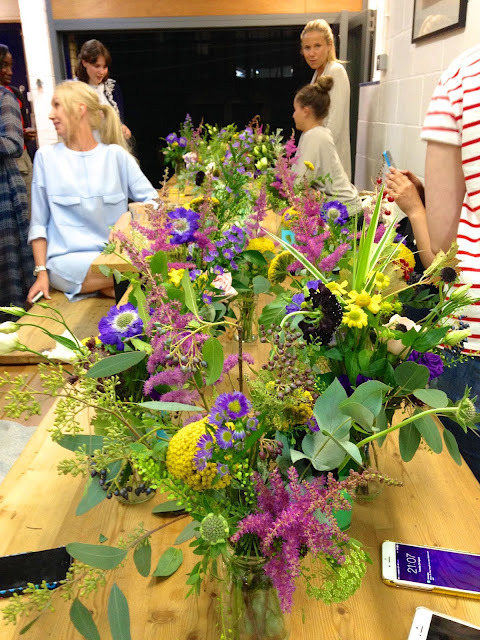 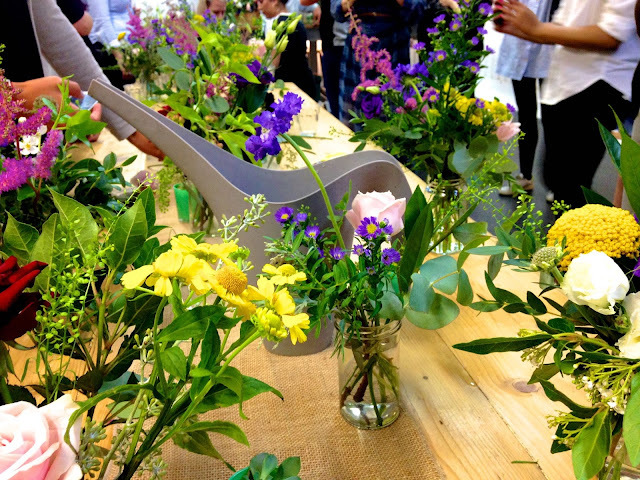 During dinner we all got chatting about London, life and blogs and I had the pleasure of talking all things flowers with Georgie from Grace and Thorn who, after we had finished eating, taught us all how to become expert flower arrangers. We were then let loose on the most beautiful selection of flowers and foliage to create our masterpieces. 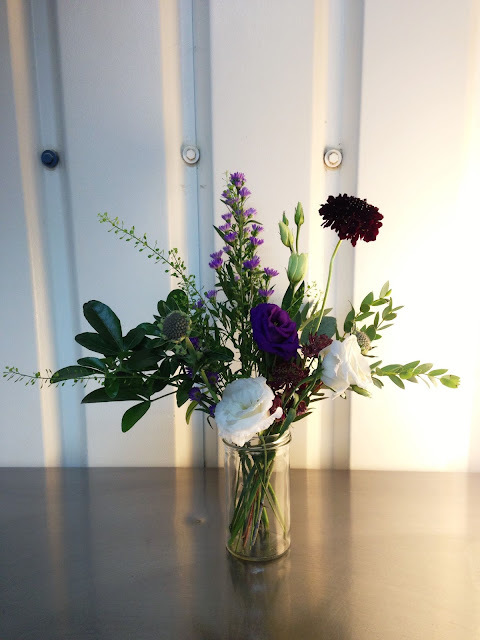 The general rule of making your tallest stem one and a half times as tall as your vase is one I will remember and use from now on, along with my love for a new kind of foliage, green bells. When we were all happy with our creations they were all placed on the table so that we could admire everyones handy work and Instagram yet more pictures! 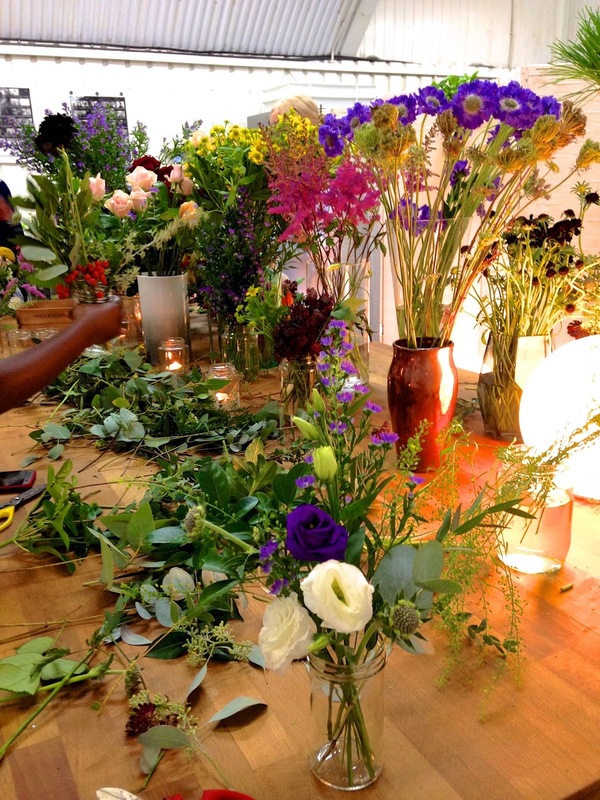 The range of designs was fabulous, from more neutral tones with pops of colour to jars full of lots of different brightly coloured flowers and all of them were beautiful. I had such a wonderful evening arranging wild flowers and meeting some lovely new people. 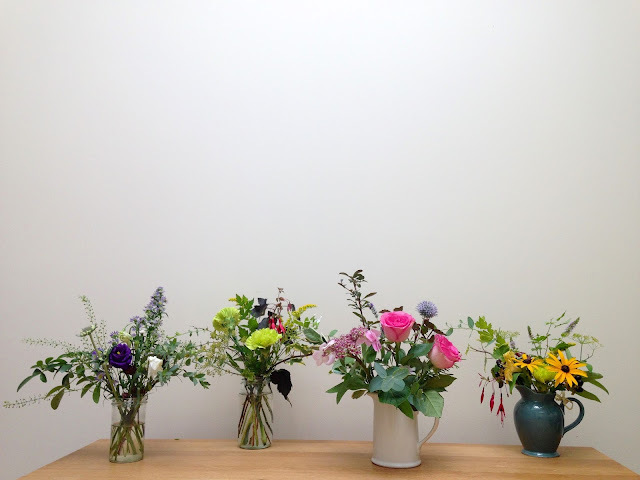 And feeling inspired by the new skills I had learnt headed home to arrange some flowers with my mum!